During your Metal Gear Solid 5: The Phantom Pain playthrough, Big Boss encounters the usual main missions. However, a variety of side missions exist for all of you completionist as well. These side missions are all optional. But, it would be a shame if you don’t complete at least a few of them. They are tough. In fact, many of them are really tough. That’s why we’re here with this new game guide covering the Metal Gear Solid 5 Side Ops. These Side Ops can be quite difficult – some are difficult even to unlock. 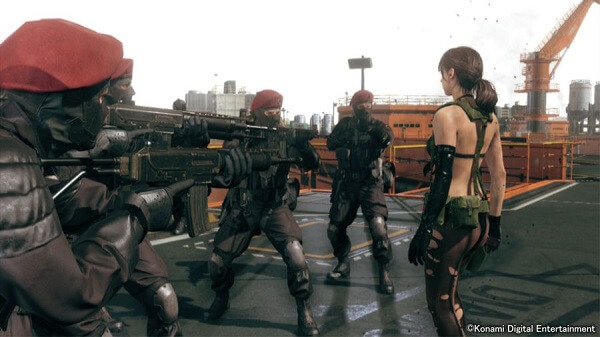 All of the conditions required to unlock certain The Phantom Pain Side Ops remain unknown until they are actually unlocked. You can download MGS V off of Steam or Amazon for $59.99, and I also recommend you take a look at our Game Deals and Promo Code Page for the best discounts on video games and consoles. You can also pick up TPP on PS 4 and Xbox One. Some mission appear as you naturally progress through the game. Others appear out of the blue after Big Boss upgrades various stuff around the base. Without further ado, I present to you our Metal Gear Solid Guide.